There are good charter schools. There are bad public schools. But if one had to choose between the worst public school and the best charter school, you’d still be better off with the public school. Does that sound crazy? Does it sound ideological, partisan, or close-minded. Imagine if we said the same thing about tyrannies and democracies. Still, I’d prefer the worst democracy to the best tyranny. Because even a badly run democracy is based on the principle of self rule. The government gets its right to make and enforce laws from the consent of the will of the governed. Even if our representatives are corrupt and stupid, even if our federal, state and local agencies are mismanaged and disorganized – there is the potential for positive change. In fact, the catalyst to that change is embedded in democracy, itself. Egalitarian systems founded on the principle of one person, one vote tend toward fairness, equity and liberty much more than others. Bad leaders will be replaced. Bad functionaries will be retrained or superseded. Bad agencies will be renovated, renewed, and made to serve the will of the people. However, in a tyranny, none of this is true. Even if you have a benevolent tyrant who does nothing all day but try to do whatever is best for his or her subjects, that is a worse state of affairs. Eventually the tyrant will change. Absolute power will corrupt him or her absolutely. Or even if this bastion of human goodness is incorruptible, he or she will eventually be deposed, replaced or die. And there is nothing – absolutely nothing – to ensure the next tyrant is likewise benevolent. In fact, the system is set up to increase the likelihood that the next ruler will be as selfish, greedy and malevolent as possible. This is because it is the system of tyranny, itself, that is corrupt – even if those that fill its offices are not. The same goes for good charter schools. These are schools that are publicly funded but privately run. As such, the overwhelming majority have no elected school board, their meetings are held in private, their documents are kept secret, they discriminate in enrollment and they take advantage of a plethora of legal loopholes and bad policy to embezzle funds, overcharge for nonexistent utilities and cut services for students while pocketing the “savings” as profit. If you can find a charter school that does none of these things – congratulations! You have found a diamond in the rough! But it is a diamond that is more likely to turn to coal the second you turn away. Let’s say you find the rare charter school run by an elected school board. THEY AREN’T REQUIRED TO DO THAT. Organizers could at any time revert to an appointed board. Community members could be making all the decisions when you send your child to school, but by dismissal time they could have all been replaced with flunkies appointed by the private business people who took out the charter from the state in the first place! Let’s say your charter school has open meetings and public documents. They invite the public to their deliberations. They take public comment and share all their internal communications with taxpayers and the media. THEY AREN’T REQUIRED TO DO THAT. They could close the doors any day they wanted. And there’s nothing you could do about it. Why? Because that’s what a charter school is. Despite all the propaganda to the contrary, it is not fundamentally a public school. It is a private school at public expense. All these things that are optional at a charter school are required at public schools. Not just some public schools – ALL OF THEM! Public schools are required to have elected school boards (unless taken over by the state). They are required to have open meetings and public documents. They are essentially democratic, whereas even the best charter schools are only democracies because of someone’s goodwill. When the wind changes, so will their system of government. Let’s say you find a charter school that has open enrollment. It accepts every student who applies from its coverage area. Or at least it does so until it runs out of room. If demand exceeds supply, it conducts a lottery to determine which students to let in and which it has to unfortunately turn away. First of all, if the school doesn’t have open meetings and public documentation, you have no way of knowing whether these lotteries are fair and unbiased. 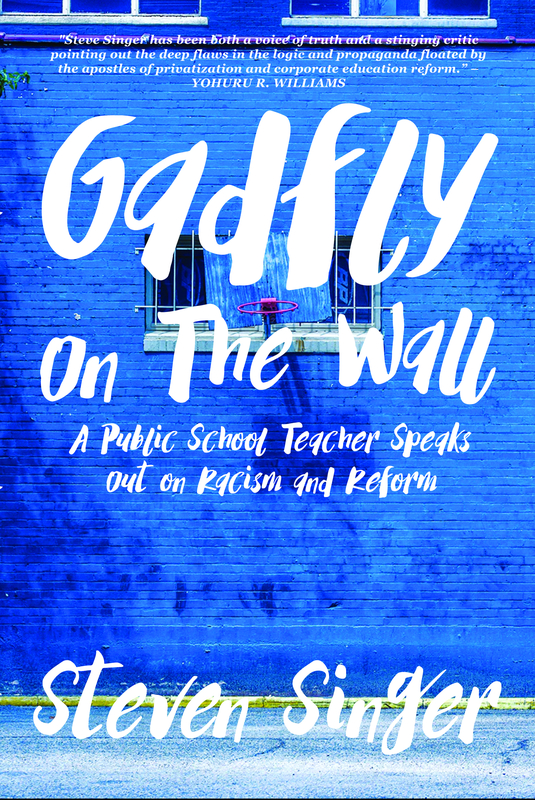 Operators are often charged with cherry picking the best and brightest and denying students with disabilities or behavioral problems – they’ve even been known to discriminate based on race and class. Second of all, even if your charter school is one of the magical few that just does the right thing with no oversight, THEY AREN’T REQUIRED TO DO THAT. Once they figure out how much money they can save by only accepting the cheapest students to educate, inclusive enrollment policies will be a thing of the past. And you’ll probably never even know the difference. Public schools aren’t allowed to do that. They have to accept every student from their coverage area regardless of academic deficits, emotional needs, race, religion, class or creed. And if there isn’t enough space, they still can’t turn students away. They have to expand! And what about the most salient feature of charter schools? Unlike public schools where all the funding has to be spent on student services, most charter schools are run for profit. They are allowed to cut services for students and swipe the savings for their investors. Some charter schools don’t do this. BUT THEY CAN! Any day now they could cut little Timmy’s gym class down to twice a week so a shady group of business people in a smoke filled room could stuff a bunch of bills in their own wallets. Offering French AND Spanish? Adios muchachos. And bonjour to a fistful of dollars going directly into their bank accounts. All of that is perfectly legal even though it’s your money they’re collecting – money you put aside to help your child learn – there’s not a thing you can do about it. Sure, you can take your child out of the charter school. But the money funding the school isn’t just your child’s. You’re paying for every student enrolled there. Even if you don’t have kids, you’re footing the bill. And unlike the public school system where you get a voice in how that money is spent, here you don’t get to say a thing. You just get to pay. Call me crazy, but I think there’s something wrong with that. I think that’s worse than even the most decrepit public school. If a public school has a terrible school board, they can be replaced. In fact, they most certainly will be given time. With each bad policy and unpopular decision, bad school directors motivate taxpayers to vote them out. This is the exact opposite of charter schools. There is more reason for a charter to replace an elected board with an appointed one so as to increase their autonomy and ability to make money. Most of the problems with public schools aren’t located in the schools, themselves. They are the result of strategic disinvestment – archaic funding formulas that allocate less to districts without a large tax base than those in richer neighborhoods. They are the result of segregation schemes that keep the poor and minorities in neighborhoods where they can be ignored and then blamed for their own underprivileged status. They are the result of national and state policies allowed to play the parasite on their budgets – high stakes testing, Common Core and – yes – charter schools. So, no, I don’t think it’s unreasonable to be so positive about public schools and so negative about charter schools. The problem with privatized education isn’t just specific to individual schools. It is a feature of the very kind of school we’re talking about in the first place. Charter schools are at heart a less democratic system than public schools. Therefore, public schools are always preferable. I wouldn’t give up my country just because we have an idiot in the oval office. Nor would I give up my public school just because of inadequacies in my local district. Democracy isn’t for wimps. You have to fight for it. Those people who are telling you to switch teams are trying to pull the wool over your eyes. The decision has been made, teachers. 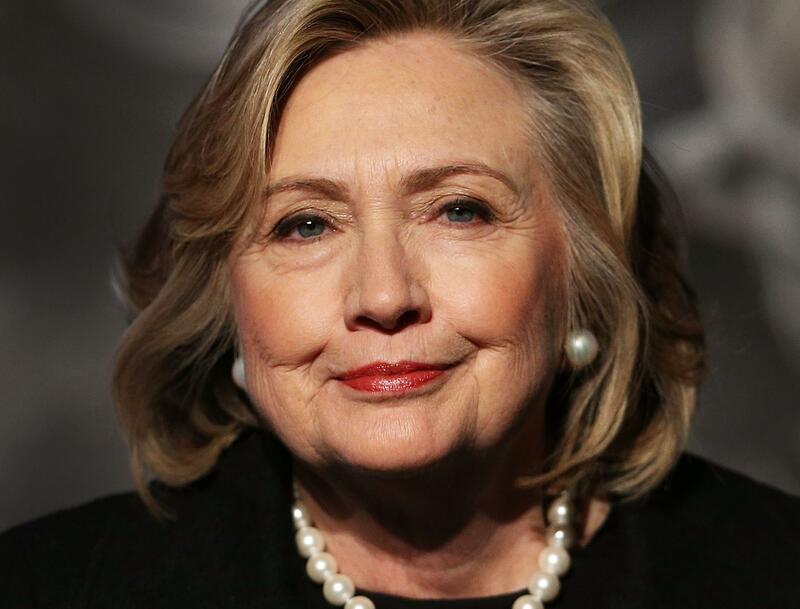 YOU WILL ENDORSE HILLARY CLINTON IN THE 2016 PRESIDENTIAL PRIMARIES. Now please donate to the Political Action Committee (PAC). The National Education Association (NEA) represents 3 million educators. It is the largest labor union in the country. However only about 180 people made the decision to back Clinton. The NEA Board of Directors voted today 118 to 39 in favor of the endorsement with 8 abstentions and 5 absences. Thursday the 74 member PAC Council voted to endorse Clinton with 82% in favor, 18% against and some of the largest delegations – California and New Jersey – abstaining. And we call that an endorsement. But wait. It can’t really be that simple. All of these people are voted in by members. Surely they polled their constituencies to gauge how individuals wanted them to vote. To be fair, some NEA directors may have polled state union leaders. Ronnie Ray James, NEA Director from South Carolina, wrote in to this blog saying he took a straw poll of the South Carolina Education Association (SCEA) board about an early endorsement. He said the vote was close but came out in favor of making the endorsement. However, that’s a far cry from asking actual card carrying members of the rank and file! Moreover, it is unclear how widespread these straw polls were, if they polled board members about outright support for Clinton and if the leaders of state boards have the pulse of their constituents. According to NEA by-laws, the organization need go no further to obtain input from individual members for a primary endorsement. Even these straw polls are a formality. The 8,000 strong Representative Assembly (RA) did not get a say. This larger body representing state and local affiliates will get to vote on an endorsement in the general election when the field is narrowed down to only two major candidates. But anything like a poll of individual members is apparently not desired by leadership – now or later. Perhaps that’s because for weeks the rank and file have been vehemently criticizing leaderships’ mounting push to endorse Clinton. Some opposed to the decision are certainly Bernie Sanders supporters. However, many others complain that it is too early to endorse before candidates have clearly outlined their positions on education or even had a chance to debate. In an effort to solidify the vote among wavering leadership, Garcia called in the big gun – Hillary Clinton, herself. The Democratic candidate met with Directors today before the vote. No other candidate was present. It’s one thing to vote. It’s another thing to do it in the presence of one of the candidates! This whole process has been a mockery of what labor is supposed to stand for. Unions are supposed to be about solidarity. The word, itself, means joining together. But this move by NEA leadership has been nothing like that. It has been a top down decision imposed on membership. It is ludicrous that leaders claim they are representing card carrying rank and file when they haven’t asked us what we think. Nor do they even seem to have the slightest interest in doing so. Full disclosure: I am not a Clinton supporter. I lean towards Sanders. However, I could accept this decision if it had been conducted democratically – if it really was a reflection of the thoughts of my union brothers and sisters. Instead, we’ve been treated like sheep. We’ve been herded, fenced in, hushed and placated. The way I see it, there are only two ways to go from here: we can give up or we can fight back. It is tempting to become despondent and stop participating in the union. Why bother with people who don’t care what I think? In fact, maybe all those fat cats fighting to destroy us are right. If the NEA won’t include me in something this important, why should I continue defending it? Why keep paying dues? But I can’t go that route. I won’t. Together we bargain, alone we beg. The problem is not unions. The problem is our leadership. We must fight to take it back. We must replace those who would silence the rank and file. We must vote in new leaders who actually represent us and have an interest in our input. We need leaders who will fight for us, not those who are satisfied with a mere seat at the table and an opportunity to enrich themselves at our expense. This is hard. It’s much easier to just wave a white flag, go home and watch the football game. A union is not made of leaders. It is made of members. Lily is not the NEA. I am. And I will fight to take it back.